“Adulting” requires one to have a job. To some degree, your first job, probably part-time, would give you financial freedom and build your character. However, getting a job is not as simple as taking candy from a baby; aside from the skills you must possess and the personality to go with it, you must also write some documents that are asked before you are even considered. One of it is a resume. 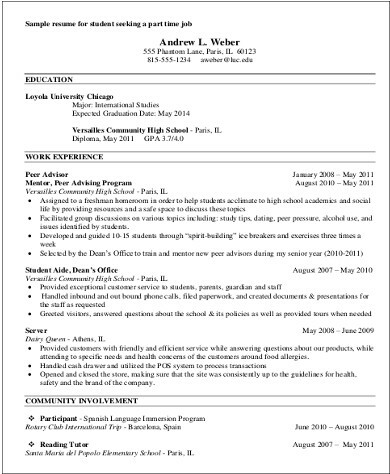 A resume is a summary of your past work experiences, educational background, accomplishments, and qualifications. “Work experiences? But I don’t have any. It’s my first job,” is what you’re probably saying. Worry not. Have a look at our free downloadable Sample Resumes and study each of them to see which resume fits you. Chronological. The most common type of resume. It arranges your work history in an inverted arrangement from the most recent to the first job. Many employers prefer this as it allows them to assess an applicant quickly. But since you still have no work history, it may be better to avoid this. Functional. Gives more emphasis on your skills rather than your job experiences. This is better for you since you have no work history yet. You can also highlight your achievement at school. Combination. Combines the strengths of the two aforementioned types. It allows you to emphasize both skills and work experience. Targeted. Is tailor-made according to the job’s requirements. Everything that you include in your resume responds to what is asked for the job. In your case, a functional resume would be best. 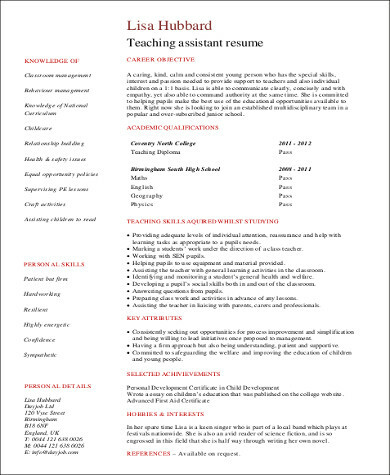 Take a look at our free sample resumes and see how they highlighted the applicant’s qualifications. 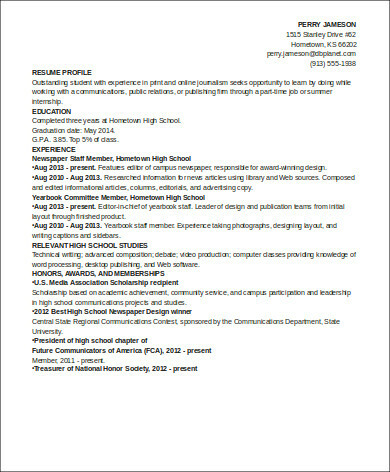 And since your resume is short, you could also benefit from studying our Sample One Page Resumes. Arrange your resume’s contents wisely by thinking like a hiring manager. What would you look for in a worker? Make sure that your resume is clean and orderly. Avoid grammar and spelling errors. Make sure that your picture is formal, not a selfie. Let’s look at the last one again. A resume is supposed to make you look good to a hiring manager so that they will hire you. Some people, however, would lie in their resumes or exaggerate their accomplishments. While this has a possibility of working sometimes, it will eventually haunt you someday. If you lie in your resume and it is found out, it will greatly damage your personal brand, which is something you also need to make yourself marketable. 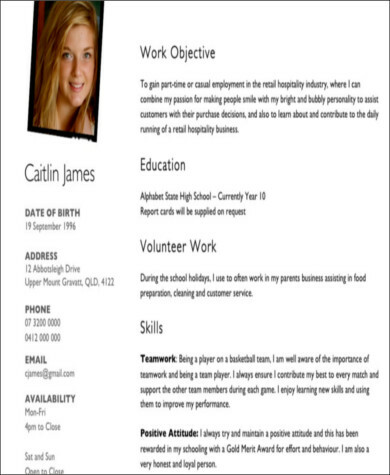 Our downloadable sample resume for first job comes in Word (.docx) and PDF format. Study them and model your first resume after them. If you want to learn more, check out our Sample Job Resumes.